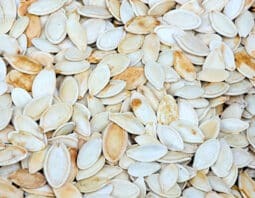 Which method produces the best pumpkin seeds? The oven? The stove top? Or the microwave? 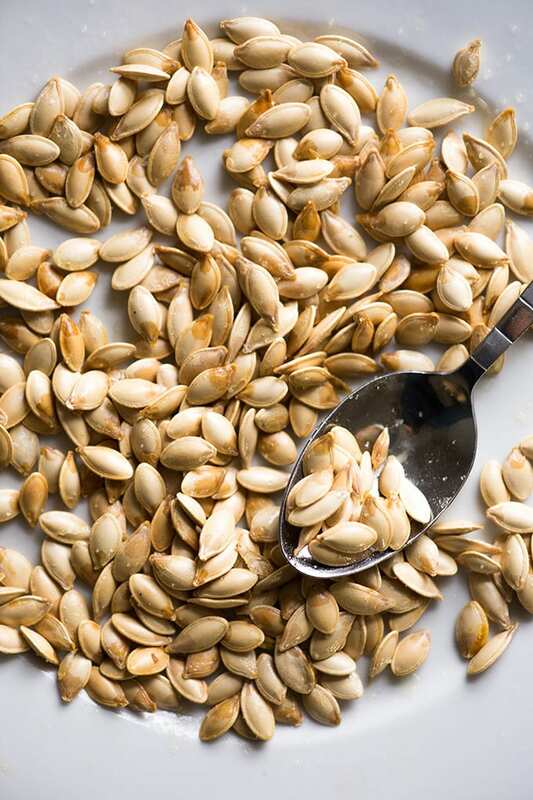 We investigate all three ways to achieve pumpkin seed perfection. 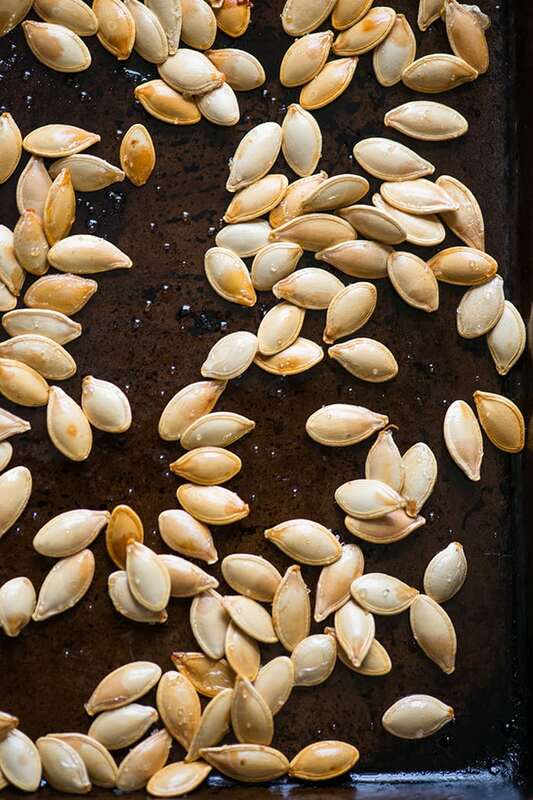 Roasted pumpkin seeds are one of the best parts of making jack-o’-lantern, but waiting for them to come out of the oven can seem like it takes an eternity. We wondered if there was a better way to make our favorite salty fall snack, so we tested out three different methods to see which reigned supreme. 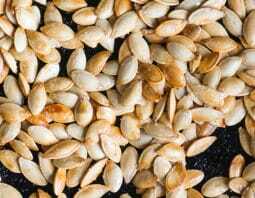 We tested out the traditional oven-roasting and compared it with seeds toasted in a skillet and pumpkin seeds from the microwave. The microwave? Yes. You might remember that we loved the discovery that you can do DIY microwave popcorn with a regular paper bag. 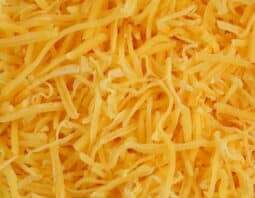 That fabulous microwave result made us want to try it out again. Of course, you can add spices to your pumpkin seeds to jazz things up, but to keep things scientific here, we stuck with the basics. Preheat the oven to 300⁰F. 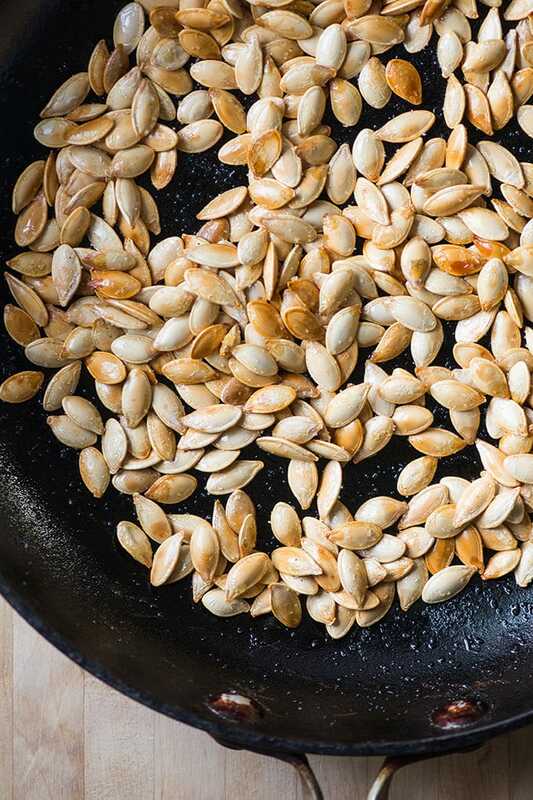 Toss the pumpkin seeds with oil and salt, and spread evenly on a baking sheet. Roast in the oven for 35-45 minutes, until golden brown. Place the pan on a wire rack to cool the seeds. Heat the oil in a large, nonstick skillet over medium heat. Add the pumpkin seeds and toast, stirring frequently, until golden brown and fragrant, 10-15 minutes. Remove the pan from the heat and sprinkle with salt. Cool the seeds in the pan. 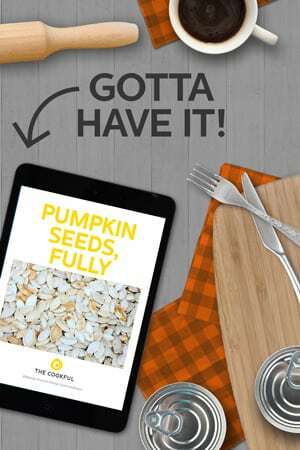 Place the pumpkin seeds on a microwave-safe plate or in a microwave-safe baking dish. 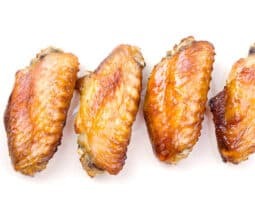 Drizzle them with oil and toss to coat. Spread the seeds out evenly. Microwave, uncovered, on high for 2 minutes, then stir. Repeat this process for 6-8 total minutes, until the seeds are golden brown and fragrant. Sprinkle with salt and cool the seeds on the plate. As much as we wanted lightning fast roasted pumpkin seeds, slow and steady won the race here. While the stovetop seeds came in as a close second, the oven-roasted seeds had the deepest, most nuanced flavor. Plus, the stovetop seeds had the disadvantage of needing constant monitoring. The microwaved seeds had the weakest flavor, and they required lots of stirring. They also felt drier than both the oven-roasted and stovetop seeds. Sometimes traditions are traditions for a reason! I would do the seeds in the microwave for at least double that time. I’ve been roasting pumpkin seeds for my kids for years. The last few years, I’ve done them in the microwave. 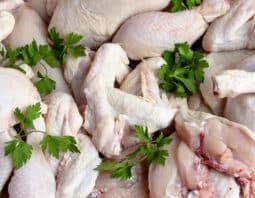 We love them this way and so much easier. No worries about burning them. It just takes awhile. Thanks for the tip, Tracey. Longer time required, gotcha. 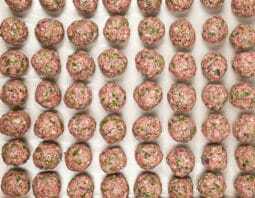 We boil in salted water for 10 minutes and then drain, toss with oil and roast for 10-20 min. It’s by far the best method I’ve tried. Christine, I’ve never heard of boiling them first. How interesting. I’m definitely going to give it a try!